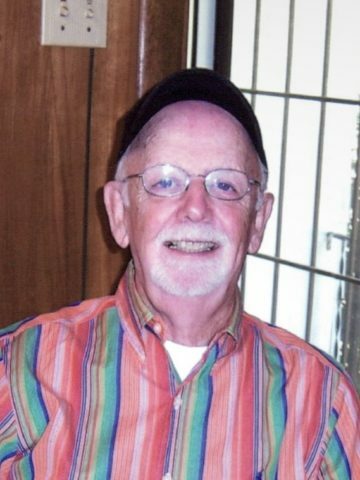 Bobby Joe Davis, 80, passed away Friday, March 29, 2019. Born September 30, 1938 in New Albany, Mississippi, he was the son of the late Robert Edward Davis and Laura Bell Joslin Davis. Bobby grew up in Dyersburg, Tennessee and attended military school in Lebanon, Tennessee. During his youth he first moved to Miami, Florida and later to Levelland, Texas where he graduated from Levelland High School. He went on to attend Hardin Simmons University and after being drafted, he joined the United States Air Force. While in Texas he met his future wife, Carole Ann Foster. They married in 1961 and then lived in Sioux City, Iowa from 1961 to 1965 while he was stationed there. They returned to Texas where he began his career as a court reporter. He worked in that field for 53 years. While in Dallas he was a partner of the firm, Davis, Brock and Callaway later renamed United American Reporting. They later moved to Nashville, TN where their two sons resided. There he worked for Cleeton, Davis Reporting. Bob and Ann were married for 57 years. In addition to his wife, Ann, Bob is survived by their two children; Gregory Scott Davis and Bradford Foster Davis; daughters-in-law, Valerie Davis and Rashelle Davis; and two grandchildren, Briley and Landon Davis. A celebration of life service will be held Saturday, April 20th at 11:00 AM at Luton’s Methodist Chapel, 8363 Old Springfield Pike, Goodlettsville, TN 37072. Visitation from 10 -11 AM / Lunch 12 – 1PM. In lieu of flowers, memorial contributions may be made to Adoration Hospice, 545 Mainstream Dr., Suite 413, Nashville, TN 37228.